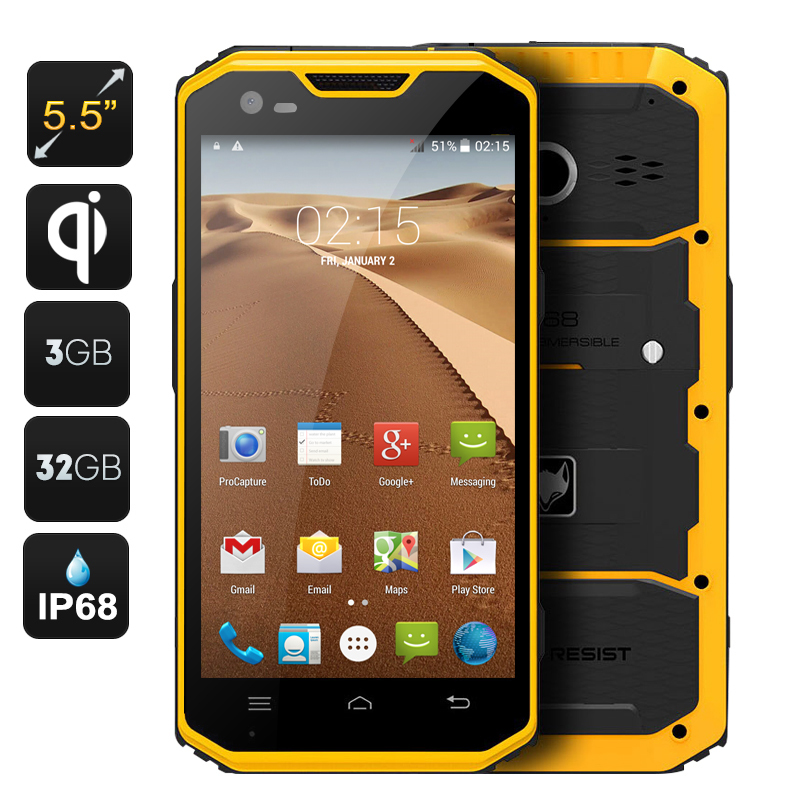 Successfully Added MFOX A7W Rugged Android Smartphone- IP68, 5.5 Inch Screen, 4G, Bluetooth 4.0, Wireless Charging, A-GPS+GPS to your Shopping Cart. The MFOX A7W is a waterproof smartphone with a sturdy design – it won't mind being out in the rain and can even survive being dropped in water. The IP68 rating ensures that the smartphone is dust tight and can handle submersion. The MFOX A7W comes with a nice 5.5 inch screen – which puts it closer to the phablet category – and gives you a great platform for entertainment. Watching movies, playing games or browsing the web will all be great on the larger screen. Moreover, you will always have access to the Play Store where you can pick up even more fun apps. The Android smartphone comes with a 3500mAh battery – good for 6 hours of non-stop talk time – and supports wireless charging. With it, you won’t have to fuss around with cables – simply place the phone on a wireless charging pad and that’s it! The MFOX A7W Rugged Android Smartphone comes with a 12 months warranty, brought to you by the leader in electronic devices as well as wholesale Android Phones..